Have you ever stopped to think about where your pencil came from or what it’s journey will be once it hits the trash? It’s okay if you haven’t, because one company has made it their mission to not only produce eco-friendly pencils that are available in a variety of colors, but also to give new life at the end of the pencil’s functional usability. Sprout World began as an idea from MIT students on the lookout for a more sustainable pencil and has resulted in over 10 million pencil-to-plant product sales. 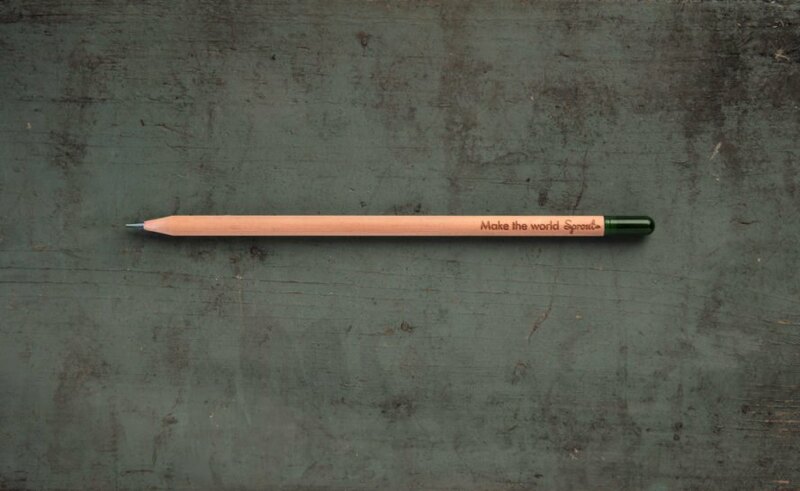 The Sprout pencil starts with sustainable materials such a cedar casings, clay and carbon-based graphite. 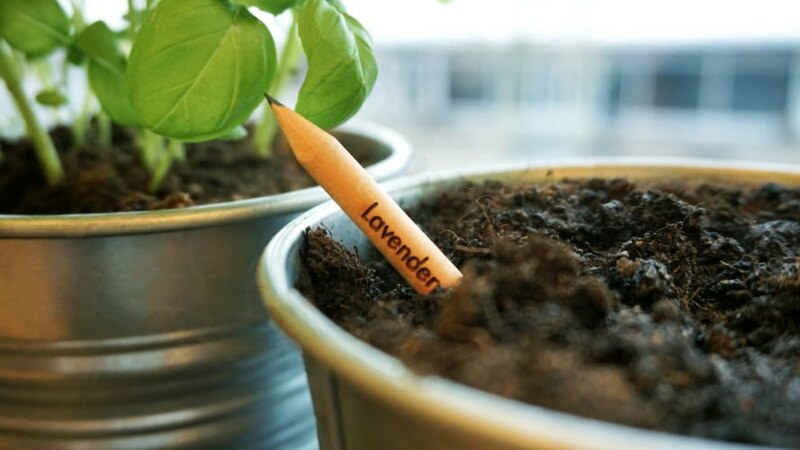 At the end of the pencil (where you would expect an eraser to be) is a biodegradable capsule that holds plants seeds. So once you’ve sharpened your way through that much awaited manuscript or copious to-do list, your pencil brings new life in the form of plants. As businesses are pushed towards environmental responsibility, Sprout offers a product they can use to their advantage— and that of the planet. The Sprout pencil sketchpad of clients includes notable companies like Toyota, Disney, Marriott and Coca-Cola. Although the private market is noticing the product, around 90% of Sprout pencil sales are currently to companies for use in marketing promotions— which is a major earth-friendly step in the right direction over landfill-clogging disposable pens or magnets. An appealing selling point is the personalization on the pencil shaft along with the additional marketing bling for the pencil sleeve. The seeds packed into the pencil range from colorful flowers to herbs and even vegetables, and buyers can select their preference. The pencils are available in a traditional grey color, as well as colored-pencil packs. Sprout feels that it is their duty to inspire sustainability through their products as well as their own corporate initiatives. With that in mind, they keep production facilities local in Minnesota for the U.S. and Canadian market instead of shipping manufacturing overseas. This not only minimizes the carbon footprint produced by transporting materials, but also provides American jobs. So what’s next for Sprout World? You won’t have to wait long to find out as the world’s first makeup pencil that also sprouts into plants instead of heading into the trash can is due to hit the market any day. 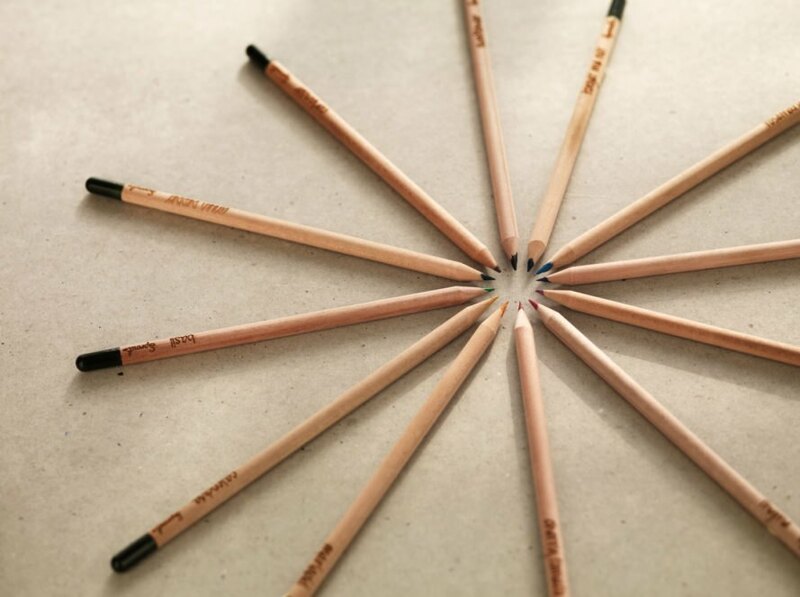 The Sprout pencil can be planted into soil and transformed into a plant. The Sprout pencils are available in over 60 countries. The pencils are non-toxic and sustainably sourced. 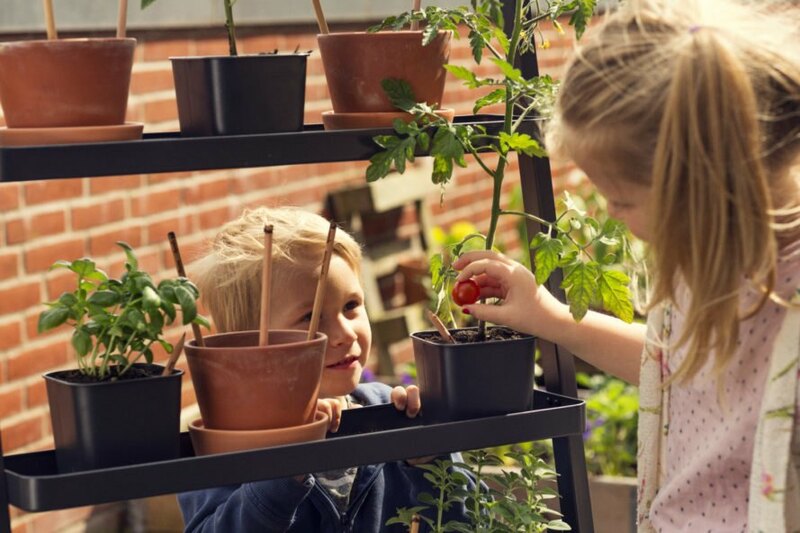 The pencils can grow into herbs, flowers and vegetables. Not only does the pencil reduce the carbon footprint, but it also creates jobs.